Hamilton May is pleased to present an elegant, one bedroom apartment with a spacious loggia of 20m2, offered for rent in the center of Krakow, in the new NOVUM Apartments investment. Hamilton May presents an apartment offered for rent in a modern, discreet building. 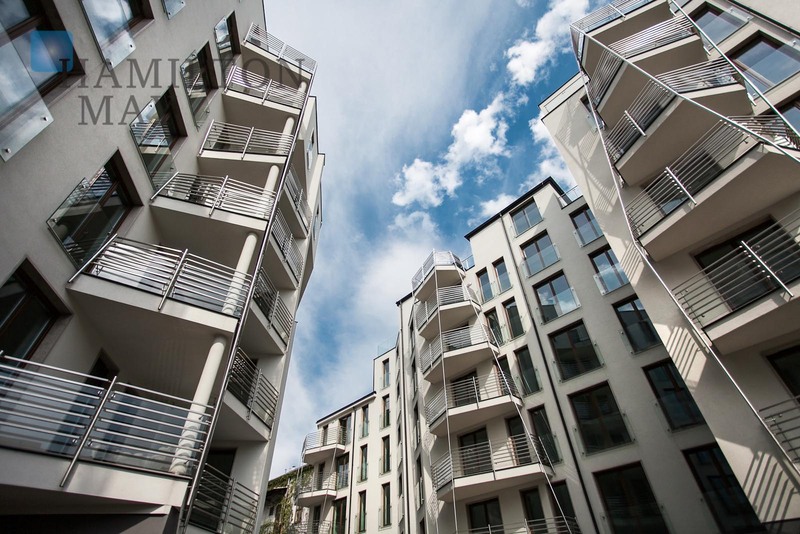 Hamilton May is pleased to present a quiet, spacious studio apartment offered for rent in the modern Zamoyskiego 30 investment in Old Podgórze. Hamilton May presents a new, beautifully arranged one bedroom apartment in a superb location. The British International School of Cracow (BISC) is an independent school which was founded in order to provide a top quality education for the growing international community in Cracow, based upon the English National Curriculum. The BISC opened on 1st September 1995, and now educates approximately 160 pupils from twenty five different countries. BISC is located in the very center od Kraków, at Smoleńsk street. At Hamilton May, we receive regular enquiries for larger family apartments located in the vicinity of the British International School od Cracow from parents who would like to keep the school run manageable. Typically we assist ex-pat families who are relocating to Kraków and require additional help and an English speaking service although of course, being in Poland, we also assist many Polish families with their search. In area of Cracow Old Town and City Center there is a selection of larger apartments (approx 90m2 to 250m2) which fulfil needs usually ranging from 2 to 4 bedrooms. Generally parking facilities are available and are normally a requirement for the families of the BISC. For families in need of renting a house in may most convenient to settle in Wola Justowska district that grants smooth communication with the School. Popular nearby developments which service the British International School include Angel Plaza and Plac na Groblach 5. For your convenience, Hamilton May has provided a selection of properties that have been pre-selected as both suitable and nearby to the British School and we encourage you to contact us for more information on properties of interest.